All you need to do is flaunt your Chucks. Basketball player Chuck Taylor made his mark by helping Converse design some of the most iconic sports shoes of all time. By 1932, Converse had his name printed on the shoes that he had helped create. The shoes, fondly called "Chucks" by fans, have been worn by athletes, revolutionary artists, unapologetic geeks, prodigious musicians, and pioneers of fashion. These people are drawn to Chucks because they are sturdy, stylish, anti-establishment shoes that complement the personality of their wearers. This is the essence of Converse's new Chuck Taylor Campaign, which pushes the "Start From The Bottom" principle. Chucks make it possible for people to flip the script on the rules of fashion. With Chucks as the foundation of your style, you are free to make your own statement. 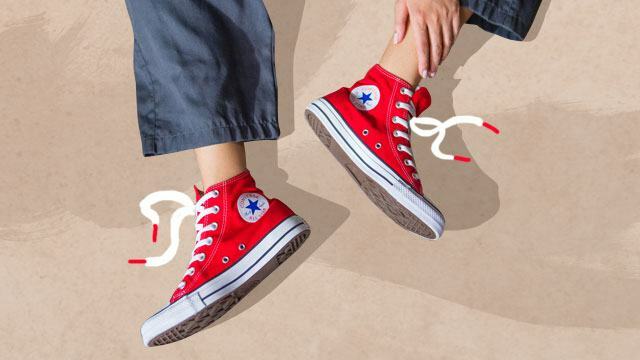 For its #ChucksFirst campaign, Converse is giving away several pairs of Chuck Taylor All Stars sneakers and VIP Access to the #ChucksFirst Mini Concert, to be held on July 14 at 2020 and XXXX in Makati. Headlining the show is homegrown indie-folk ensemble Ben&Ben, which is best known for the hits "Kathang Isip," "Leaves," and "Ride Home.” #ChucksFirst ambassadors Kyline Alcantara, Markus Paterson, Miguel Tanfelix, and Ryle Santiago will also be at the event. You can score a new pair of Chucks and VIP Access to the mini concert by posting your most creative #ChucksFirst photo, video, or GIF. Each of the eight #ChucksFirst ambassadors will pick one winner from their respective fans. Follow the Instagram accounts of the #ChucksFirst ambassadors to get started, and share your most creative poses wearing your Chucks. Follow Converse on Facebook for updates. This article was created by Summit Storylabs in partnership with Converse.